With this Tour of 16 Days Rajasthan Tour with Mumbai from Delhi, you will explore the best cities of Rajasthan with Mumbai & Delhi and visit the best known locations. 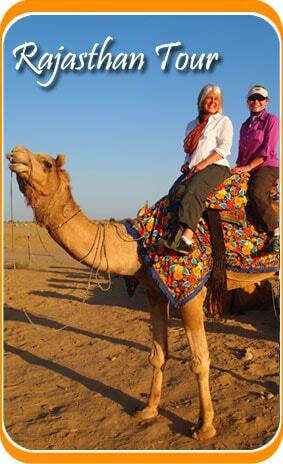 Explore these destinations and hope you will enjoy your 16 Days Rajasthan Tour. Meet our representative on your arrival at Delhi International Airport and proceed for a hotel check in. Enjoy the rest of the day at leisure. Dinner and overnight stay at hotel. Have your breakfast and leave for a sightseeing tour of the city and visit the Jama Masjid, the Asia’s Biggest Mosque, Red Fort, The busiest market of Delhi, Chandni Chowk, Raj Ghat, the memorial of Mahatma Gandhi, the father of the nation, Qutub Minar, Humayun Tomb, Laxmi Narayan Temple and spend the evening in Connaught Place. Later in the evening opt for some shopping and return to hotel for dinner and overnight stay. 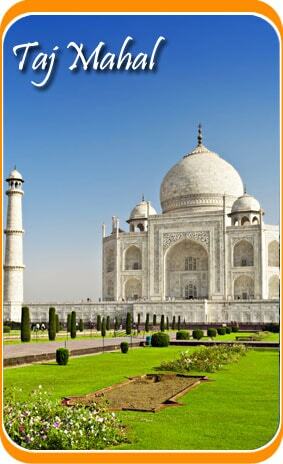 The day will be utilized with a small Delhi sightseeing tour. For the first half of the day, we may pay a visit to the Lotus Temple and the Akshardham Temple. The rest of the day will be free for you while you may explore some nearby area and the local bazaars. Overnight stay at hotel. Post your early morning breakfast, drive to Neemrana and check in at the palace which is right inside the Neemrana Fort. Explore every bit of this magnificent architecture. Dinner and overnight at palace. With your tasty and healthy breakfast, the day starts with a drive to Jaipur, the Pink City of Rajasthan. As you reach, check in at hotel and later post some rest, visit the City Palace, and the local Bazaars. Witness the Light and Sound Show at Amber Fort and return to hotel for dinner and overnight stay. You will explore the Pink City today and pay a visit to the crucial locations that include the Amber Fort where you can also enjoy a Elephant Ride followed by a visit to the Jal Mahal. Later spend the evening at the local markets. Return to hotel for dinner and overnight stay. Post your breakfast, take an excursion tour to the Samode Palace which is known for its architecture and also explore the Samode Haveli, Samode Bagh and visit the local villages as well. Later in the evening return to hotel for dinner and overnight stay. Kick start your day with healthy breakfast and later proceed for Pushkar, The King of Pilgrimage Sites. Check in at hotel on arrival and take a heritage walk later. Visit the only temple of Lord Brahma in the world and the Pushkar Lake, Explore the nearby areas and return to hotel for dinner and overnight stay. Leave for Jodhpur post your breakfast and check in at hotel on arrival. Later opt for a Heritage Walk of Jodhpur and explore its known places and food. Go for some shopping and later in the evening return to hotel for dinner and overnight stay. The day will start with an early morning tour to the Desert Rock Park which is situated near the Mehrangarh Fort. Return to hotel for breakfast and later proceed to Toor ji Jhalara, Mehrangarh Fort and Clock Tower. Return to hotel for dinner and overnight stay. With an early morning breakfast, proceed to Mount Abu, the only Hill Station of the state of Rajasthan and en route visit the Fort Chanwa. Later continue the drive to Mount Abu and check in at hotel on arrival. Enjoy the sunset from Sunset View Point and return to hotel for dinner and overnight stay. Explore the hill station today and visit the Dilwara Temple, Achalgarh Fort and the Nakki Lake. Leave for Udaipur and check in at hotel on arrival. Dinner and overnight at hotel. With an early morning breakfast, you may enjoy the day with your sightseeing tour of the Udaipur and visit the popular attractions that includes the Bhartiya Lok Kala Mandir, Lake Palace and enjoy the evening with boat ride at Lake Pichola. Return to hotel for overnight stay. Wake up early, have your breakfast and catch the flight to Mumbai. On arrival check in at hotel and later take a sightseeing tour of Mumbai. Visit the Gateway of India, Chatrapati Shivaji Terminus and Rajabai Clock Tower followed by a visit to the Sidhivinayak Temple which is dedicated to Lord Ganesha and Chhatrapati Shivaji Maharaj Vastu Sangrahlya. Return to hotel for dinner and overnight stay. The day will be at leisure for you while you may explore the nearby area and visit some local markets. Get some gifts packed and return to hotel for dinner and overnight stay in the evening. Have your breakfast and proceed for airport to catch the flight for your onward destination and your 16 Days Rajasthan Tour with Mumbai From Delhi ends here.